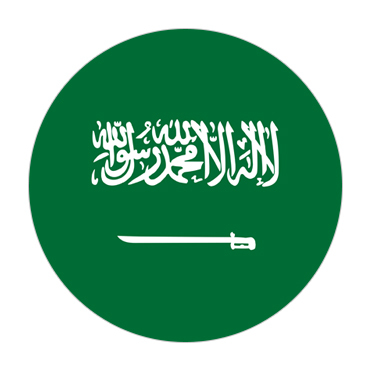 Saudi Arabia is a betray nation including the greater part of the Middle Eastern Promontory, with Red Ocean and Persian (Middle Eastern) Bay coastlines. Known as the origin of Islam, its home to the religion's 2 most consecrated mosques: Masjid al-Haram, in Mecca, goal of the yearly Hajj journey, and Medina's Masjid a Nabawi, entombment site of the prophet Muhammad. Riyadh, the capital, with skyscraper is one of the modern cities. In Riyadh's inside is the earthen-block Masmak Stronghold, and in addition the National Exhibition hall, whose veneer was propelled by sand hills outside town. The city's upscale shopping centers incorporate Kingdom Center, with its 99th-floor Skybridge perception deck. In the nations northwest are the Mada'in Saleh ruins, dating to the first century B.C., with huge tomb landmarks from the Nabataean Kingdom. Lively Jeddah, on the Red Ocean drift, has customary souks, occupied shorelines and reef jumping. In the southwest, Asir National Stop's mountains have trails. The Saudi Aramco Show, in the port city Dhahran, is a historical center committed to the Saudi oil industry. Working Hours: From 9:00 a.m. to 4:00 p.m.